Drogheda (/ˈdrɒhədə, ˈdrɔːdə/; Irish: Droichead Átha, meaning "bridge of the ford") is one of the oldest towns in Ireland. It is known for its tourism and as a centre of industry and medical care. 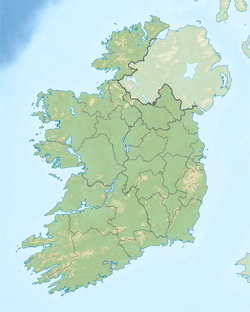 It is located on the Dublin–Belfast corridor on the east coast of Ireland, mostly in County Louth but with the south fringes of the town in County Meath, 49 km or 30 miles north of Dublin. Drogheda has a population of approximately 41,000 inhabitants (2016), making it the third largest town by population in all of Ireland. It is the last bridging point on the River Boyne before it enters the Irish Sea. The UNESCO World Heritage Site of Newgrange is located 8 km west of the town. Drogheda was founded as two separately administered towns in two different territories: Drogheda-in-Meath (i.e. the Lordship and Liberty of Meath, from which a charter was granted in 1194) and Drogheda-in-Oriel (or 'Uriel', as County Louth was then known). The division came from the twelfth-century boundary between two Irish kingdoms, colonised by different Norman interests, just as the River Boyne continues to divide the town between the dioceses of Armagh and Meath. In 1412 these two towns were united, and Drogheda became a 'County Corporate', styled as 'the County of the Town of Drogheda'. Drogheda continued as a County Borough until the setting up of County Councils through the enactment of the Local Government (Ireland) Act 1898, which saw all of Drogheda, including a large area south of the Boyne, become part of an extended County Louth. With the passing of the County of Louth and Borough of Drogheda (Boundaries) Provisional Order, 1976, County Louth again grew larger at the expense of County Meath. The boundary was further altered in 1994 by the Local Government (Boundaries) (Town Elections) Regulations 1994. The 2007–2013 Meath County Development Plan recognises the Meath environs of Drogheda as a primary growth centre on a par with Navan. In recent years Drogheda's economy has diversified from its traditional industries, with an increasing number of people employed in the retail, services, and technology sectors. The town also has a community of independent artists and musicians who have been looking to the local economy rather than Dublin for employment. Drogheda was also selected to host Fleadh Cheoil na hÉireann 2018. 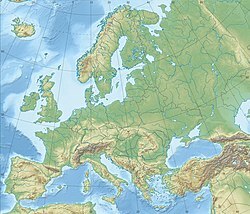 The town is situated in an area with an abundance of archaeological monuments dating from the Neolithic period onwards, of which the large Passage Tombs of Newgrange, Knowth, and Dowth are probably the best known. The remarkable density of archaeological sites of the prehistoric and Early Christian periods uncovered in recent years in the course of development, notably during construction of the Northern Motorway: Gormanston to Monasterboice, or 'Drogheda Bypass', have shown that the hinterland of Drogheda has been a settled landscape for millennia. Despite local tradition linking Millmount to Amergin Glúingel, in his 1978 study of the history and archaeology of the town John Bradley stated that "neither the documentary nor the archaeological evidence indicates that there was any settlement at the town prior to the coming of the Normans". The results of the numerous and often large-scale excavations carried out within the area of the medieval town in the past ten years appear to have confirmed this statement. The earliest monument in the town is the motte-and-bailey castle, now known as Millmount Fort, which overlooks the town from a bluff on the south bank of the Boyne and which was probably erected by the Norman Lord of Meath, Hugh de Lacy sometime before 1186. The wall on the east side of Rosemary Lane, a back-lane which runs from St. Laurence Street towards the Augustinian Church is the oldest stone structure in Drogheda. It was completed in 1234 as the west wall of the first castle guarding access to the northern crossing point of the Boyne. The earliest known town charter is that granted to Drogheda-in-Meath by Walter de Lacy in 1194. In the 1600s the name of the town was also spelled "Tredagh" in keeping with the common pronunciation, as documented by Gerard Boate in his work Irelands' Natural History. In c. 1655 it was spelled "Droghedagh" on a map by William Farriland. Drogheda was an important walled town in the English Pale in the medieval period. It frequently hosted meetings of the Irish Parliament at that time. According to R.J. Mitchell in John Tiptoft, Earl of Worcester, in a spill-over from the War of the Roses the Earl of Desmond and his two youngest sons (still children) were executed there on Valentine's Day 1468 on orders of the Earl of Worcester, the Lord Deputy of Ireland. It later came to light (see Robert Fabyan, "The New Chronicles of England and France"), that Elizabeth Woodville, the queen consort, was implicated in the orders given. The parliament was moved to the town in 1494 and passed Poynings' Law, the most significant legislation in Irish history, a year later. This effectively subordinated the Irish Parliament's legislative powers to the King and his English Council. The town was besieged twice during the Irish Confederate Wars. On the second occasion an assault was made on the town from the south, the tall walls breached, and the town was taken by Oliver Cromwell on 11 September 1649, as part of the Cromwellian conquest of Ireland and it was the site of a massacre of the Royalist defenders. In his own words after the siege of Drogheda, "When they submitted, their officers were knocked on the head, and every tenth man of the soldiers killed and the rest shipped to Barbados." The Earldom of Drogheda was created in the Peerage of Ireland in 1661. The Battle of the Boyne, 1690, occurred some 6 km (3.7 mi) west of the town, on the banks of the River Boyne, at Oldbridge. In 1790 Drogheda Harbour Commissioners were established. They remained in place until 1997 when the Drogheda Port Company a commercial enterprise replaced them. In 1825 the Drogheda Steam Packet Company was formed in the town, providing shipping services to Liverpool. In 1837 the population of Drogheda area was 17,365 people, of whom 15,138 lived in the town. The star and crescent emblem in the crest of the coat of arms is mentioned as part of the mayor's seal by D'Alton (1844). In 2010, Irish president Mary McAleese, in a speech delivered during an official visit to Turkey, stated that the star and crescent had been added in the aftermath of the Great Famine as gratitude for food supplies donated by the Ottoman Sultan, which had arrived at Drogheda by ship. Irish press quickly pointed out the story was a myth, with a local historian calling it 'nothing short of sheer nonsense'. However, later evidence, including a letter displayed at the office of the European commission, confirms that Turkey came to the aid of the Irish during the Famine. In 1921 the preserved severed head of Saint Oliver Plunkett, who was executed in London in 1681, was put on display in St. Peter's (Catholic) Church, where it remains today. The church is located on West Street, which is the main street in the town. "Now I wish to speak to all men and women engaged in violence. I appeal to you, in language of passionate pleading. On my knees I beg you to turn away from the paths of violence and to return to the ways of peace. You may claim to seek justice. I too believe in justice and seek justice. But violence only delays the day of justice. Violence destroys the work of justice. Further violence in Ireland will only drag down to ruin the land you claim to love and the values you claim to cherish." Drogheda has a long tradition of brewing and distilling, with international companies Jameson Whiskey, Coca-Cola, Guinness, Jack Daniel's all having previously produced or are still currently producing their products in or just outside the town. Currently, Boann distillery and brewery manufacturers whiskey, gin, cider, and beer in the town. Slane Whiskey - A Jack Daniels owned company, distills whiskey just outside the town at Slane. Listoke House distills its own gin. Dan Kellys makes its own cider. Jack Codys manufactures craft beers and stouts. The town formerly distilled Prestons whiskey, a Jameson Whiskey brand; Carines Beer, founded locally and sold to Guinness; and Coca-Cola concentrate, which has since moved to Ballina, County Mayo. The town, up until recently, hosted an annual summer Samba festival, where Samba bands from around the world converged on the town for three days of drumming and parades. It is also home to the Calipo theatre company which specialises in multi-media productions and has achieved considerable success in Ireland and abroad. The town also has the Droichead Youth Theatre. The addition of the Little Duke Theatre company (Drogheda School of Performing Arts) in Duke Street, in the old Julian Blinds building. The Calipo Theatre was founded in 1994 in Drogheda by Darren and Colin Thornton, former members of Droichead Youth Theatre. Upstate Theatre Project is a performing arts organisation located in Drogheda. The organisation, dedicated to community-engaged performance, was founded in 1997 by Declan Gorman and Declan Mallon. The latter also co-founder of Droichead Youth Theatre. The Municipal Centre in Stockwell Street acts as a base for most of the town's artists, under the umbrella of the Droichead Arts Centre, and featuring a gallery space and a theatre. Barlow House, one of the great Georgian buildings of Drogheda and the former Garda station in West Street is now a satellite site of the Droichead Arts Centre. Drogheda also has a long tradition of its very own pantomime, which is usually held in January/February of each year. These productions have been going for roughly 60 years. Many locations have been used for staging productions, most notably the Barbican Theatre on the site of the old Parochial Centre. St Peter's Church of Ireland, Drogheda has been the venue for some of the most important recent contemporary music events in Ireland. Louth Contemporary Music Society invited the US composer Terry Riley to perform in Drogheda in 2007. Arvo Pärt's first Irish commission 'The Deer's Cry' and visit to the country was in Drogheda in February 2008. Michael Nyman performed in Drogheda in May 2008. John Tavener's Temenos festival was held in October 2008, and the Russian composer Alexander Knaifel was the focus of a portrait concert as part of the Drogheda Arts Festival on 1 May 2009. The composer, writer and Aosdána member, Michael Holohan , has lived in Drogheda since 1983. His compositions have been performed and broadcast both at home and abroad. Career highlights in Drogheda include 'Cromwell' 1994 (RTECO), 'The Mass of Fire' 1995 (RTÉ live broadcast) and 'No Sanctuary' 1997 (in the Augustinian Church with Nobel Laureate and poet Seamus Heaney), 'Remembrance Service' 2012 (RTE live broadcast, St Peter's Church of Ireland. Drogheda Unification 1412-2012). Fields of Blue and White, a CD of his piano music ( pianist Therese Fahy) was launched in the National Concert Hall, Dublin in 2009. From Gallipoli to the GPO, his musical meditation on the First World War and 1916 was premiered in Drogheda and in The National Concert Hall in 2016. Drogheda is home to two famous brass bands: the Drogheda Brass Band and the Lourdes Brass Band. Recently, both bands have been National Brass Band Champions of Ireland and Northern Ireland. October 2006 saw the opening of the town's first dedicated Municipal Art Gallery and visual arts centre, the Highlanes Gallery, housed in the former Franciscan Friary on St. Laurence Street. The Highlanes Gallery houses Drogheda's important municipal art collection, which dates from the 17th century, as well as visiting exhibitions in a venue which meets key international museum and gallery standards. Drogheda's most famous visual artist was the abstract expressionist painter Nano Reid (1900–1981). There are many highly regarded visual artists working in Drogheda at the present time. Too many to list they include; Richard Moore, Kieran McNulty, Raphael Hynes, Mary Mc Donnell, Vivienne Byrne, John Moloney, Maureen Finn, Jackie Hudson Lalor, Patrick Dillon, Nuala Early, Roger Hudson and Ronan Halpin. Drogheda and its hinterland has always had a very strong literary tradition. Oisín McGann is an award-winning writer of children's literature. Angela Greene was the first Drogheda poet to win The Patrick Kavanagh Poetry Award in 1988 for her collection Silence and the Blue Night. The poet Susan Connolly has been widely published and broadcast. She was awarded The Patrick and Katherine Kavanagh Fellowship in Poetry in 2001 for her life's work. Shearsman UK, published her groundbreaking collection of visual poetry The Bridge at the Ford in 2016. The poet, writer and occasional broadcaster Marie MacSweeney has received the Francis MacManus Short Story Award for her short story "Dipping into the Darkness". Roger Hudson is a performance poet and has published collections of poetry and a CD with the composer Breifne Holohan ' San Francisco Dreaming' in 2016. •	Drogheda served as the stand-in location for many scenes in the 1984 film Cal. A drama set during The Troubles in Northern Ireland, it starred John Lynch and Helen Mirren. For her role in the film Mirren was voted Best Actress at both the 1984 Cannes Film Festival and the 1985 Evening Standard British Film Awards. •	It also served as the setting for the five-part drama series Love Is the Drug, filmed and broadcast in 2004. It was directed by Drogheda local Darren Thornton. •	In 2011 Feargal Quinn fronted RTÉ's Local Heroes campaign in Drogheda, which assembled a team of experts to kick-start the local economy. It aired in RTÉ 1's six-part television series, Local Heroes – A Town Fights Back. • The 2016 film A Date for Mad Mary was based and filmed in Drogheda. Drogheda is an ancient town that enjoys a growing tourism industry. It has a UNESCO World Heritage site, Newgrange, located 8 kilometres (5.0 mi) to the west of the town centre. John Jameson's residential home (Distillery House, Dyer Street - not open to the public), and there is a Jameson distillery trail of malthouses in the town. Eamonn Ceannt's school (formerly St Joseph's CBS now operates as Scholars Hotel. With the expansion of the Irish economy in the 1990s, during the "Celtic Tiger" years, Drogheda became one of the main secondary locations for people who work in Dublin to buy a house, as property prices in the capital became prohibitive for many first-time home buyers. This was aided by the expansion of transport infrastructure in the direction of Drogheda i.e. the Swords and Balbriggan bypasses, the Boyne River Bridge and the increased number of commuter trains serving the town. Partly as a result, the town centre area of Drogheda has redeveloped, and two large shopping centres have opened, while several national and international retailers have opened stores. In 2007 the partial pedestrianisation of the town's main street, West Street, was completed. On the south quay in the space of the former Lakeland Dairies premises (an old industrial area), the Scotch Hall Shopping Centre and the D Hotel was completed in November 2005. A new pedestrian bridge extends from the north quay, at Mayoralty Street, into the complex. Phase Two of the development, which will shortly commence construction, will extend further down along the river front, on the site of the former Irish Oil Cake works. It will have an extension to the shopping centre and hotel, new apartments, cinema, and a riverside plaza. M1 traffic crossing Boyne River Bridge. Drogheda is located close to the M1 (E1 Euro Route 1) (main Dublin – Belfast motorway). The Boyne River Bridge carries traffic from the M1, across the River Boyne, 3 km west of the town. It was opened on 9 June 2003 and is the longest cable-stayed bridge in Ireland. The town's postcode, or eircode, is A92. Drogheda acquired rail links to Dublin in 1844, Navan in 1850 and Belfast in 1852. Passenger services between Drogheda and Navan were ended in 1958, however the line remains open for freight (Tara Mines/Platin Cement) traffic. In 1966 Drogheda station was renamed "MacBride". Drogheda railway station opened on 25 May 1844. The station has direct trains on the Enterprise northbound to Dundalk, Newry, Portadown, Lisburn and Belfast Central, and southbound to Dublin Connolly. A wide variety of Irish Rail commuter services connect southbound to Balbriggan, Malahide, Howth Junction, Dublin Connolly, Tara Street, Dublin Pearse, Grand Canal Dock, Dún Laoghaire, Bray, Greystones, Wicklow, Rathdrum and Arklow. Drogheda's bus station is located on the Donore Road and a comprises waiting area, information office and toilets. It replaces an earlier facility on the Bull Ring. 190/A (Laytown via Mornington & Bettystown and Trim/Athboy via Slane & Navan). On Friday and Saturday nights there is also a Night bus service, route 101N operated by Bus Éireann (Dublin-Dublin Airport-Balbriggan-Drogheda) and return. Matthews Coaches also operate a Dundalk to Dublin route serving the town. Past Bus Éireann routes included the 184 to Garristown and 185 to Bellewstown but these were discontinued a few years ago. Defined by its location as the last crossing point on the Boyne before it reaches the sea, Drogheda has seven bridges in its vicinity. Drogheda Borough Council is an elected local government body which is mandated under the Local Government Act 2001 to provide civic leadership and a forum for the democratic representation of the community. Responsibilities include amenity support, operation of the Litter Act, contribution to tourism development, event licensing, arts support, etc. The Borough Council executive comprises twelve elected Councillors, headed by the mayor. The current mayor is Richard Culhane (Fine Gael). For local elections to Louth County Council, the town forms part of two local electoral areas – Drogheda East (6) and Drogheda West (4) . This includes both the urban Drogheda area and surrounding rural areas. For the purposes of elections to Dáil Éireann, the town is part of the five seat Louth constituency which returns five TDs. Following the 2016 general election, the constituency elected two TDs for Sinn Féin (populist), two TDs for Fine Gael party (centre right), and one TD for Fianna Fáil (centre to centre-right). Shopping mostly takes place in the medieval streeted historic quarter of the town, where the main shopping streets are West Street, Shop Street, Peter Street, and Laurence Street . West Street is the main street and is known as the 'Golden Quarter Mile', it is home to large and small retail shops and several cafes and restaurants. The town centre has five shopping centres, Scotch Hall, Laurence Town Centre, Drogheda Shopping Centre, Abbey Shopping Centre, and Boyne Shopping Centre. An out of town shopping centre Southgate is located at the southern entrance to the town. A number of retail parks have been developed around Drogheda since the year 2000, mainly on the southern and western side of the town. On the northside, is the M1 Retail Park and on the south side is the Drogheda Retail Park. The local newspapers are The Drogheda Independent and The Drogheda Leader, known locally as The D.I. and The Leader. Both newspapers are published every Wednesday. The Leader a free-of-charge newspaper has a circulation of 24,000 and the Drogheda Independent's circulation is 6,850 (2011 ABC). The headquarters of The Drogheda Independent are on Shop Street and The Drogheda Leader's offices are on Laurence Street. The local radio station is LMFM, broadcasting on 95.8 FM. The headquarters of LMFM are on Marley's Lane on the south side of the town. Drogheda is a regional centre for medical care. Its main hospital is Our Lady of Lourdes Hospital, a public hospital located in the town. and is part of the Louth Meath Hospital Group. It is managed by the Irish Government's Health Service Executive (HSE) and provides acute-care hospital services, including a 24-hour emergency department for the populations of County Louth, County Meath and the entire North-East of Ireland. The hospital provides 340 beds, of which 30 are reserved for acute day cases. The Cottage Hospital (on Scarlet Street) is a former maternity hospital, which subsequently became a Geriatric Unit for a number of years and is now a long stay residential unit. There are six secondary schools situated in Drogheda. St. Joseph's secondary school in Newfoundwell is an all-boys school, as is St. Marys Diocesan School on Beamore Rd. The Sacred Heart School, situated in Sunnyside Drogheda, is an all-girls school. The Drogheda Grammar school, located on Mornington Road, St. Oliver's Community College, on Rathmullen Road, and Ballymakenny College, on the Ballymakenny Road, are co-ed schools. Our Lady's College, in Greenhills is an all-girls school. There is also Drogheda Institute for Further Education (DIFE), a third-level college situated in Moneymore. Football: In December 2005 the town's soccer team, Drogheda United FC, won the FAI Cup for the first time. In 2006 Drogheda United won the Setanta Cup. In 2007, Drogheda United won the League of Ireland for the first time in the club's history. Drogheda United FC's brother team is Trabzonspor from Turkey. Both of the teams' colours are claret red and blue. Rugby: Local team Boyne RFC was formed in 1997 from the amalgamation of Delvin RFC and Drogheda RFC. As of 2010[update], the men's 1st XV team plays in the Leinster J1 1st division. Drogheda is also home to many rugby-playing schools, including St. Mary's, who are the under-14 Leinster rugby champions. Gaelic Football: There are five clubs in Drogheda: Newtown Blues GFC, Wolfe Tones GFC, O'Raghallaigh's GFC, Oliver Plunket's GFC, St. Nicholas's GFC. Angela Greene, poet, Patrick Kavanagh Award 1988, Salmon Press. Colin O'Donoghue, actor known for his role of Captain Hook/Killian Jones in the American TV Show Once Upon a Time. Nano Reid, painter of landscapes, particularly Drogheda, the Boyne Valley and surrounding areas. Fiachra Trench, Composer. Penned the string arrangement for fairytale of New York wrote music for many Hollywood movies. Eamonn Ceannt 1916 Rising Leader - secondary school student in St Joseph CBS Drogheda. William Hughes, Irish-born US senator from New Jersey. Alison Kelly (diplomat), Irish ambassador to Israel. Tony Martin, Canadian social democratic legislator. Henry Singleton, judge and friend of Jonathan Swift, was a lifelong resident of Drogheda. John Jameson Founder of Jameson whiskey lived in Distillery House, Dyer Street. James Cullen, mathematician who discovered what are now known as the Cullen numbers. John Philip Holland, inventor of the modern day submarine. Thomas McLaughlin ESB founder and first CEO. Built the Shannon Hydro Electric Plant. Patrick Curtis Archbishop of Armagh, Spymaster for the Duke of Wellington in the Peninsular War. No 1 on Napoleon's most wanted list. Tony Byrne, bronze medal winner for Ireland 1956 Summer Olympics in Melbourne in the lightweight division. Colin Lowth, an Olympic swimmer who represented Ireland at the 2000 Summer Olympics in Sydney. Deirdre Gogarty, 1997 Women's International Boxing Federation (WIBF) Featherweight Title Champion. Shane Monahan, Professional rugby player, Gloucester, Leinster, Munster, Connaught, Ireland U-21s International. Des Smyth, professional golfer, vice-captain on the winning Ryder Cup team in 2006. Jerome Clarke, former Drogheda United forward, earned one cap for the Republic of Ireland. Nick Colgan, goalkeeper for Chelsea, Hibernian and the Republic of Ireland. Ian Harte, full-back for Reading former Blackpool, Leeds United, Levante (Spain) & Sunderland player and the Republic of Ireland. Gary Kelly, football player and charity campaigner. David McAllister, midfielder for Sheffield United, Shrewsbury Town and Stevenage. Steve Staunton, former Liverpool and Aston Villa defender and Republic of Ireland captain and manager was born there. Kevin Thornton, midfielder Coventry and former Republic of Ireland under 21. Sean Thornton, midfielder Drogheda United and Republic of Ireland under 21 national team, former Sunderland Player of the Year. Gary Tallon, midfielder for Mansfield Town. Gavin Brennan, midfielder for Drogheda United and Shamrock Rovers. Brother of fellow footballers Killian Brennan, Sean Brennan and Ryan Brennan. Killian Brennan, midfielder for Dublin City, Derry City, Bohemians, Shamrock Rovers, St Patrick's Athletic and Drogheda United. Winner of 3 League of Ireland's, 3 FAI Cup's and 5 League Cup's. Brother of fellow footballers Gavin Brennan, Sean Brennan and Ryan Brennan. ^ Johnston, L. C. (1826). History of Drogheda: from the earliest period to the present time. Drogheda. p. 37. ^ a b "Population Density and Area Size 2016 by Towns". Central Statistics Office (Ireland). Retrieved 13 December 2017. ^ "Cromwell back at gates of Drogheda - demanding a city". Independent.ie. Retrieved 2 December 2017. ^ "Drogheda to host Fleadh Cheoil". Irish Independent. 18 March 2017. Retrieved 11 July 2017. ^ See www.cso.ie/census and www.histpop.org for post 1821 figures, 1813 estimate from Mason's Statistical Survey. For a discussion on the accuracy of pre-famine census returns see J.J. Lee "On the accuracy of the Pre-famine Irish censuses", Irish Population, Economy and Society, eds. J.M. Goldstrom and L.A. Clarkson (1981) p.54, and also "New Developments in Irish Population History, 1700–1850" by Joel Mokyr and Cormac O Grada in The Economic History Review, New Series, Vol. 37, No. 4 (Nov. 1984), pp. 473–488. ^ Stout, G. 2002 Newgrange and the Bend of the Boyne. Cork University Press. ^ Bennett, I. (ed) 1987–2004 Excavations : Summary accounts of archaeological excavations in Ireland. Bray. ^ The Hidden Places of Ireland 190443410X David Gerrard - 2004 -"Two minutes from the centre of Drogheda. in the old townland of Mell." ^ Bradley, J. 1978 'The Topography and Layout of Medieval Drogheda', Co. Louth Archaeological and Historical Journal, 19, 2, 98–127. ^ "Entry for Drogheda in Lewis Topographical Dictionary of Ireland (1837)". Libraryireland.com. Retrieved 20 November 2014. ^ Heraldry of the world http://www.ngw.nl/heraldrywiki/index.php?title=Drogheda"
^ John D'Alton, The History of Drogheda: With Its Environs, and an Introductory Memoir of the Dublin and Drogheda Railway (1844), p. 138. ^ Murray, Ken (25 March 2010). "President tells Turks an anecdote of myth not fact". The Irish Times. Retrieved 25 March 2010. "Liam Reilly, an administrator with the Old Drogheda Society based in the town’s Millmount Museum, said last night the comments were incorrect. 'There are no records with the Drogheda Port Authority of this ever happening. Drogheda historians can trace the star and crescent back to 1210 when the British governor of Ireland, King John Lackland, granted the town its first charter,' he said"[unreliable source?] "Ottoman aid to the Irish to hit the big screen". TodaysZaman. Archived from the original on 6 October 2014. Retrieved 20 November 2014. "New evidence shows Turkey delivered food to Ireland during the famine". IrishCentral.com. Retrieved 20 November 2014. ^ "Remembering Pope John Paul II's 1979 visit to Ireland (PHOTOS)". IrishCentral.com. 29 September 2016. Retrieved 17 June 2017. ^ Doherty, Christine (6 January 2010). "Drogheda was safe place for Pope to visit". The Independent. Retrieved 17 June 2017. ^ McGarry, Patsy (29 November 2016). "Pope's visit to Ireland will not draw the 1979 crowds of 2.7m". The Irish Times. Retrieved 17 June 2017. ^ "29 September 1979: Mass in Drogheda - Dublin | John Paul II". Libreria Editrice Vaticana. Vatican. Retrieved 17 June 2017. ^ Noel Cosgrave. "Drogheda Samba Festival". Droghedasamba.com. Archived from the original on 17 December 2014. Retrieved 20 November 2014. ^ "Little Duke Theatre". Littleduketheatre.com. Retrieved 20 November 2014. ^ "Drogheda station" (PDF). Railscot – Irish Railways. Retrieved 5 September 2007. ^ "Bus timetable : Louth". buseireann.ie. Retrieved 20 November 2014. ^ "Matthews Coach Hire - Coach Tours, Corporate Hire, Private Coach Hire, Commuter Service Dublin Drogheda Dundalk". Matthews.ie. Retrieved 20 November 2014. ^ "Ex GAA star Richie is new mayor of town". Irish Independent. Retrieved 20 November 2014. ^ "Our Lady of Lourdes Hospital, Drogheda - HSE.ie". www.hse.ie. Retrieved 17 June 2017. ^ "Sacred Heart Secondary School - Principal's Welcome". www.sacredheart.ie. Retrieved 17 June 2017. ^ "Home Page". www.socc.ie. Retrieved 17 June 2017. ^ User, Super. "Home". www.ourladys.ie. Retrieved 17 June 2017. ^ "Love story: Courtney Love - Independent.ie". Retrieved 17 June 2017. ^ ""I've been tortured and scorned since the day I was born"". Retrieved 17 June 2017. ^ "TK Whitaker recalls his childhood in Paradise - Independent.ie". Retrieved 17 June 2017. ^ Houterman, J.N. "Royal Navy (RN) Officers 1939-1945 - F". www.unithistories.com. ^ O'Rourke, Steve. "'Better than Senna' - Tommy Byrne was the greatest racing driver you've probably never heard of". ^ "Crash and Burn review: Tommy Byrne - Far beyond driven". Wikivoyage has a travel guide for Drogheda. Wikimedia Commons has media related to Drogheda. "Drogheda" . Encyclopædia Britannica. 8 (11th ed.). 1911.